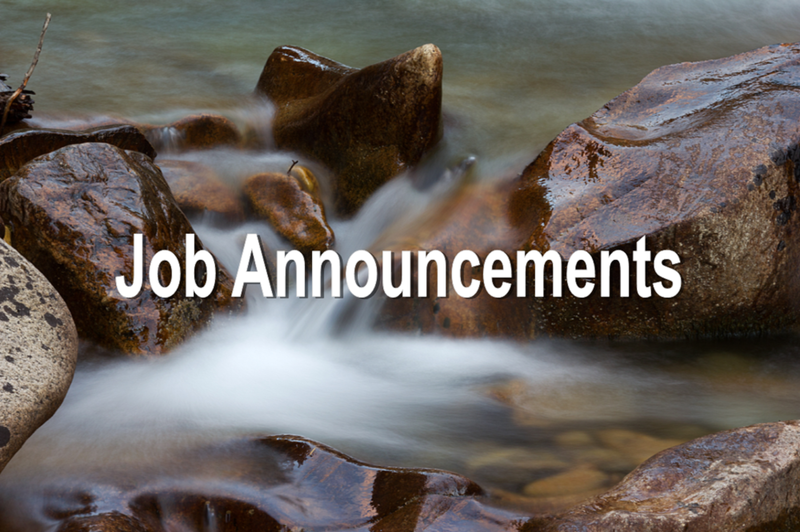 Colorado Open Lands (COL) is seeking a land conservation Stewardship Specialist to join their team in their Lakewood, Colorado office. The Stewardship Specialist supports the conservation easement stewardship functions of COL and will work with farmers, ranchers and landowners across the state in helping to steward their conservation easements. The Specialist will also serve as a program technician for COL’s GIS program and will be responsible for administering and improving the inter-departmental Salesforce LOCATE Database. Deadline to apply is January 27th, 2019. For full details and how to apply, click HERE. The City of Fort Collins Natural Areas Department is pleased to announce a new Natural Areas & Trail Ranger job opening. Natural Areas Rangers conducts patrol of City natural areas and recreation trails to enforce City Municipal code and Natural Areas regulations. Works as part of integrated team to protect natural resource values and ensure visitor safety and regulation compliance. Deadline to apply is February 8th, 2019. For more information, and full job description, click HERE. Want to work outside and connect kids with nature or know someone who does? The Greenway Foundation has the perfect job! They're looking for high-energy environmental educators to fill 9-month seasonal positions with the SPREE program. Seasonal Educators teach elementary students on field trip and day camp programs along the South Platte River and Cherry Creek. Daily responsibilities include catching crawdads, panning for gold, and searching for signs of animals with Denver kids. Check out the full job descriptions HERE and apply to become the next member of the SPREE Team! Round River Resource Management, Rush, Colorado - Round River Resource Management LLC is a land resource and livestock management company dedicated to restoring and improving agricultural operations through the principles of Holistic Management in a sustainable manner consistent with the goals of the resource owner. On the Brett Gray Ranch, a 50,000-acre ranch in Rush, Colorado, Round River uses cattle to manage the health of the land through proper grazing management and a holistic and adaptive decision making process that promotes economic and ecological sustainability. This intensive apprenticeship program teaches land and livestock management skills associated with sustainable ranching. Apply at quiviracoalition.org/roundriver.